Let’s talk about swag. No, I don’t mean that nonsense millennials keep saying they “have” (thanks Justin Bieber…) I’m talking about the original swag… convention, conference and event swag… the Stuff We All Get. This swag is stuff that convention vendors and planners hand out to attendees as a little “Thank You” gesture for coming. As you can probably surmise by the name, these are small gifts that literally every single person that attends your event, conference or convention receives, typically in things called Swag Bags. However, just because these items you are giving away are free doesn’t mean they have to be cheap, uninteresting gifts. No, true swag masters know exactly the types of things to give to their attendees because these little gifts leave a lasting impression on everyone who attended your event. So naturally you want to have them leaving with a nice memory of their trip. Spring events will be in full swing here in the next month or so and there’s nothing better to put in your swag bags than things that actually go along with springtime. Selecting useful spring swag can help make your event fresh, fun and worth remembering so here are some great ideas for spring convention swag! Springtime means more outdoor activities and more people looking to connect outside the confines of their home. For situations like this there is nothing more convenient or brilliant than a USB fan. 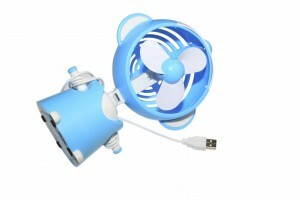 This is simply a portable fan that plugs into the USB port of your laptop or other device, allowing you to stay cool and comfortable while computing under the beautiful spring sun. Mason jars were popular among moonshiners back during the time of Prohibition but they are making a comeback as versatile beverage receptacle. There are special springtime mason jars out there that come with straws built-in, allowing you to keep on the lid while simultaneously drinking your refreshment. Find them in neon blue, blue, red, lime and pink. A lot of the best ideas come from springtime brainstorming and there’s nothing better to get your brain juices flowing than the Mental Block puzzle. 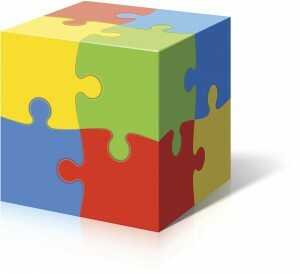 The Mental Block consists of inter-connected pieces that can be put together to form a box. What’s more is that you can also create other shapes and configurations, furthering the possibilities of creativity. If there’s one thing people absolutely hate when traveling it’s having to figure out what to do with their wet bathing suit when packing. Sure you can put it in a plastic bag but that adds unnecessary extra baggage and can take up a lot of space. The FLIGHT 001 Wet Suit is a wet bathing suit carrying bag that is small enough to be easily packed away and specifically made to keep all of your other clothing dry! Selecting the right kind of swag for your convention, conference or event attendees is just one of the little touches you can add to your event to make it really stand-out among the rest. Add spring-themed swag to your springtime event and your attendees will leave with practical gifts and an experience they won’t soon forget! 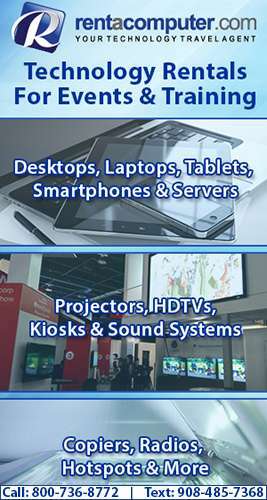 This entry was posted in Convention Center Events, event news, event tips and tagged conference swag, conferences, convention swag, conventions, event swag, event tips, Events, Stuff We All Get, swag, swag bag. Bookmark the permalink.